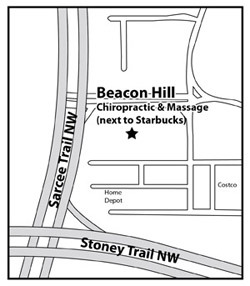 Welcome to Beacon Hill Chiropractic and Massage! 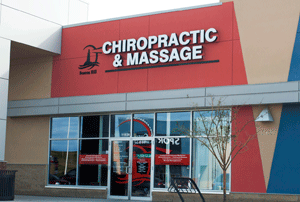 Travel to the corner of Country Hills Blvd NW and Sarcee Trail NW. Head north on Sarcee Trail NW for about 2 minutes. Turn right into Beacon Hill Center and take your first right again. We are next to the Starbucks. The Beacon Hill Center is home to the new northwest Costco, Home Depot and Canadian Tire.